This panel is a take off of our “Fruit of the Spirit” panel. 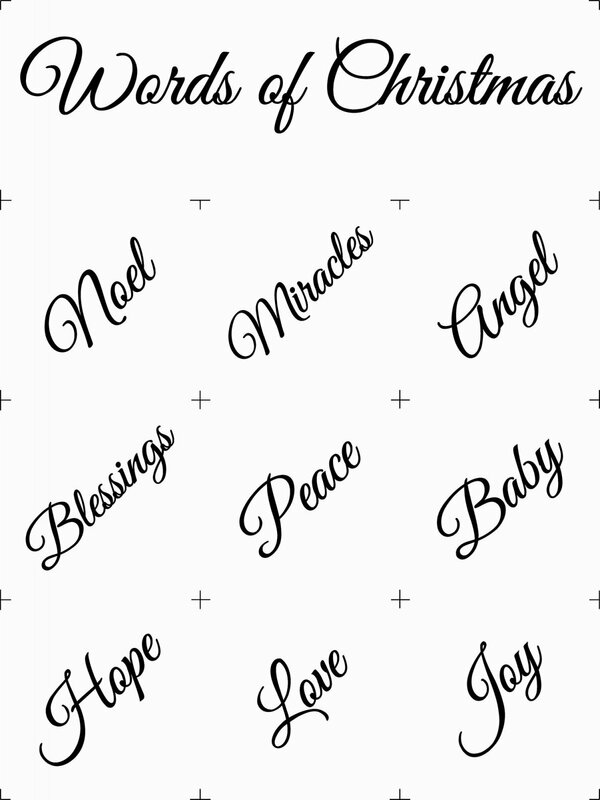 We have put 9 words that remind us of the Holiday season: Noel, Miracles, Angel, Blessings, Peace, Baby, Hope, Love and Joy. Each finishes 5” square. Along with the banner “Words of Christmas” you can use this panel in our “Fruit of the Spirit” pattern. Panel comes in Natural or White with Black print.